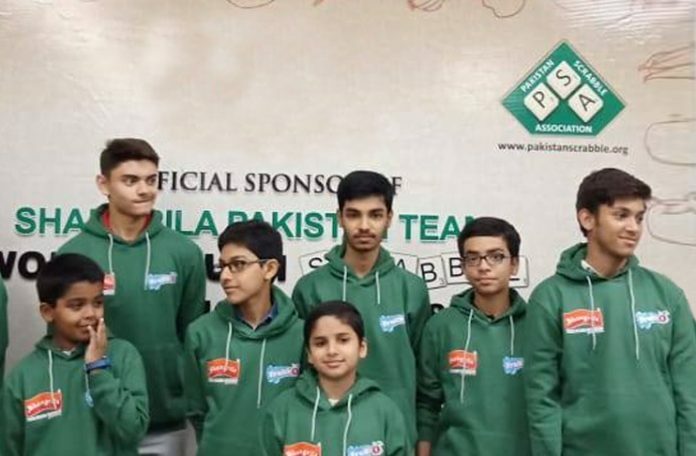 The Pakistan Scrabble Association (PSA) on Tuesday announced Pakistan’s contingent for the upcoming Junior World Scrabble Championship (JWSC), scheduled from October 20-22 in Torquay. The 17-members who will compete in six different categories include Moiz Baig, Sohaib Sanaullah, Daniyal Sanaullah, Syed Imaad Ali, Hassan Hadi, Hammad Hadi, Hasham Hadi, Taha Mirza, Absar Mustajab, Monis Khan, Hamza Nadeem, Umar Nadeem, Saim Waqar, Basil Khan, Misbah-ur-Rehman, Muzamil Asim and Fatima Siddique. The same squad will represent Pakistan in the World Scrabble Championship (WSC) slated to start from October 23 at the same venue. Moiz Baig who will take part in the U-21 category of the event was the runner-up in last year’s championship in the same category. Meanwhile, Ahad Riaz (U-18), Sohaib Sanaullah (U-16), Hamza Naeem (U-14), Imaad Ali (U-12), Monis Khan (U-10) clinched the titles in their respective categories in last year’s championship. Tariq Raz, the director Youth Program PSA while talking to the ARY Sports said that without government support they have raised the status of scrabble in Pakistan with producing some outstanding talent. “So far government did not come forward to support this cause but yes we will keep on doing for the well being of scrabble in Pakistan,” said Tariq who is hopeful that Pakistan will win in all six categories of the event. He said that Pakistan has some extremely talented youngsters but there is a need to entertain them with proper facilities and ample opportunities. “There is a need to polish these talented youngsters for the better future of Pakistan,” he said. He was quick to add that his team will compete strongly in the event and as always hoist the flag of Pakistan. “We will try to defend our titles in five categories and also win in all six categories this time around,” Tariq said.